AIPO provides support, representation & community to the 1.5 million British-resident owners of a foreign property: freehold, leasehold or timeshare. An estimated 20,000 Britons buy a foreign property each year. 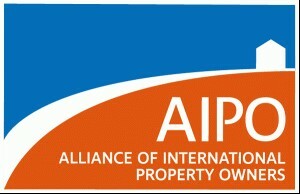 AIPO is supported both by the AIPP - the Association of International Property Professionals (freehold / leasehold property) and the RDO - the Resort Developers Organisation (timeshare).